Initiative part of ecobee's A Better Tomorrow, a program that helps create more sustainable homes for a more sustainable future. TORONTO, Jan. 24, 2018 /CNW/ - Today, ecobee Inc. proudly announced that it has donated 776 ecobee3 smart thermostats to the Toronto Community Housing Corporation (TCHC). The installation of ecobee smart thermostats will help improve the energy efficiency of TCHC buildings while also improving the comfort of residents and help to advance Toronto's climate Change action plan, TransformTO. This partnership with The Atmospheric Fund (TAF) and TCHC is the latest initiative spearheaded by ecobee's A Better Tomorrow, a program that centers on the company's commitment to advancing sustainability and community through technology. 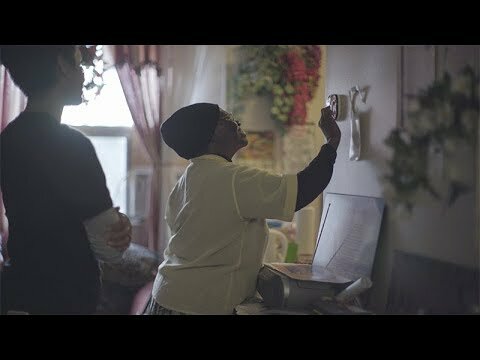 Toronto Community Housing is North America's second largest public housing provider, providing homes for almost 110,000 people across 2,100 buildings. The ecobee3 units, installed at 7 and 11 Arleta Ave. and 710 and 720 Trethewey Dr., give residents the ability to adjust temperature based on their preference, helping them to live more comfortably, while using less energy. "Putting ecobee3 smart thermostats in these homes means we'll be improving comfort for residents in a way they can feel, saving money for public housing and improving energy efficiency," said Stuart Lombard, Founder and CEO of ecobee. "As a Toronto headquartered company, we saw a chance to help our community and immediately wanted to get involved in this project, which directly improves the lives of Torontonians and creates a more sustainable future at the same time." "Our core mission is to provide healthy, safe, well-maintained and affordable homes for Torontonians, today and into the future. The donation of ecobee3 smart thermostats moves that forward in a very real way," said Toronto Community Housing Corporation CEO, Kathy Milsom. "The ecobee thermostats provide residents with a greater degree of control over their environment and important energy-saving technology improvements for community housing in Toronto." As buildings are the source of over half of Toronto's carbon emissions, the TAF project shows how to make them more energy efficient, comfortable, and affordable while fighting climate change. In addition to the new ecobee3 smart thermostats, TAF also installed new boilers, LED lighting and measures to improve indoor air quality. These changes reduce the building's carbon emission by 30 per cent and utility costs by 20 per cent. "Ecobee's generous donation of smart thermostats helps our TowerWise retrofit sites reduce heating bills, carbon emissions and improve resident comfort," Julia Langer, CEO of The Atmospheric Fund said. "The smart thermostat data that we gather will assist us in identifying best practices for retrofits in the Greater Toronto and Hamilton Area and beyond. " ecobee's A Better Tomorrow platform centers on the company's commitment to fighting climate change and building livable communities through technology, data, volunteering talent and investing in science. Beyond traditional philanthropy, A Better Tomorrow is about taking action and getting involved to address today's pressing social and environmental issues. For more information, please visit www.ecobee.com/social-impact/.